Potential for waste investment in Slovakia? Ramboll has been awarded a contract for the design and implementation of a new integrated waste management facility (IWMF) that will treat up to 2.4 million tonnes of waste each year. The facility is part of a wider project being undertaken by the National Environment Agency and the Public Utilities Board, who are looking to integrate used water and solid waste treatment processes. As a result, a new deep tunnel sewerage system (DTSS) and water reclamation plant (WRP) will also be developed. Catch up on the latest from this project. Metro Pacific Investments Corporation (MPIC) is planning to build a new waste-to-energy (WtE) plant in Quezon City. The facility will generate 42 MW of electricity, enough to power 60,000 homes. The ‘Swiss Challenge’ procurement process is being launched in January 2019 and the Public-Private Partnership Center will select a winning bid on 28th February. See more from this project. Toshiba will be building a new biomass power plant in Omuta, Fukuoka Prefecture, which will be set up alongside their existing facility. The plant is expected to cost ¥20 billion and should be operational in spring 2022. Catch up on the full details of this project. Earlier this year, Huntington Aluminium completed further expansion of its facility in Indiana, adding a second rotary furnace to increase capacity to 9 million pounds per month. Back in October, it was revealed that Brockwell Energy had secured equity funding which will go towards its development of the Earls Gate Energy Centre (EGEC) in Grangemouth. BioenergiSyd and Nature Energy have revealed that their proposed anaerobic digestion (AD) plant will be located near Kværs. 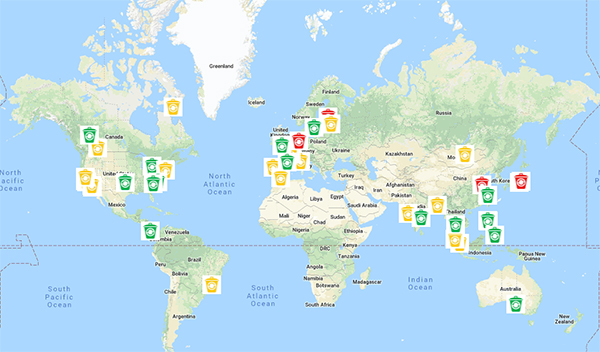 In the week ending 23rd November 2018, AcuComm added 19 new projects and updated 26 in our database. These have a combined estimated value of US$3,782 million. There are now 5,524 active projects in the AcuComm database, worth an estimated US$358.6 billion. 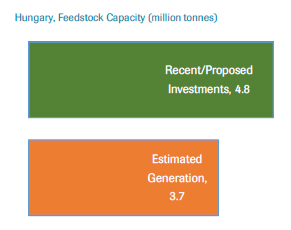 The next edition of our Global Waste Investment Fact File focuses on Hungary, where we look into 19 waste projects in the country. These have a total value of US$749 million. Incineration (with energy recovery) is the leading project type, accounting for US$395 million or 53% of the total. This is followed by biofuel which accounts for US$215 million or 29% of the total. The total estimated capacity of these projects is 4.8 million tonnes. This is equal to 252,614 tonnes per project on average and 129% of Hungary’s estimated annual waste generation. Waste investments totalling US$296 million are expected to become operational over the next few years. This is currently expected to peak in 2020 at US$215 million. 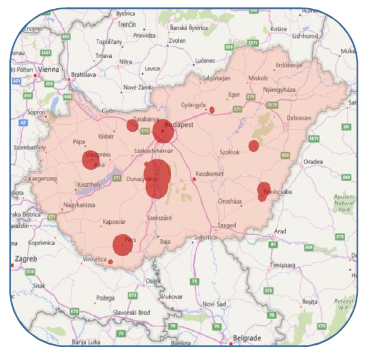 See the full list of waste projects in Hungary covered by AcuComm. This month, it was revealed that Mitsubishi Electric had won an electrical installation contract as part of a project to develop a waste-to-energy (WtE) facility on the Deeside Industrial Estate. Earlier this month, FS Bioenergia held an event to mark the start of construction of a biofuel production plant in Sorriso, Mato Grosso. The facility will process up to 1.3 million tonnes of cereal per year, enabling it to produce corn ethanol, corn bran and corn oil. On top of this, the plant will also generate up to 130,000 MWh per year. Back in October, Kobelco Eco-Solutions held a groundbreaking ceremony on the site of a new waste-to-energy (WtE) facility in Takasago, Hyōgo Prefecture. IHI Environmental is supplying rotating stoker incineration technology to the facility, which is expected to be completed by March 2022. Find out more about this project. China Everbright International has been awarded a contract for Phase II of a project to develop the Anhui Xiao County Integrated Biomass and Waste-to-Energy Project.